What KanbanFlow Triggers and Actions are Supported? Task Moved - Triggers when a task is moved between columns or swimlanes. Create Task - Creates a new task in a specific column/swimlane on the board. 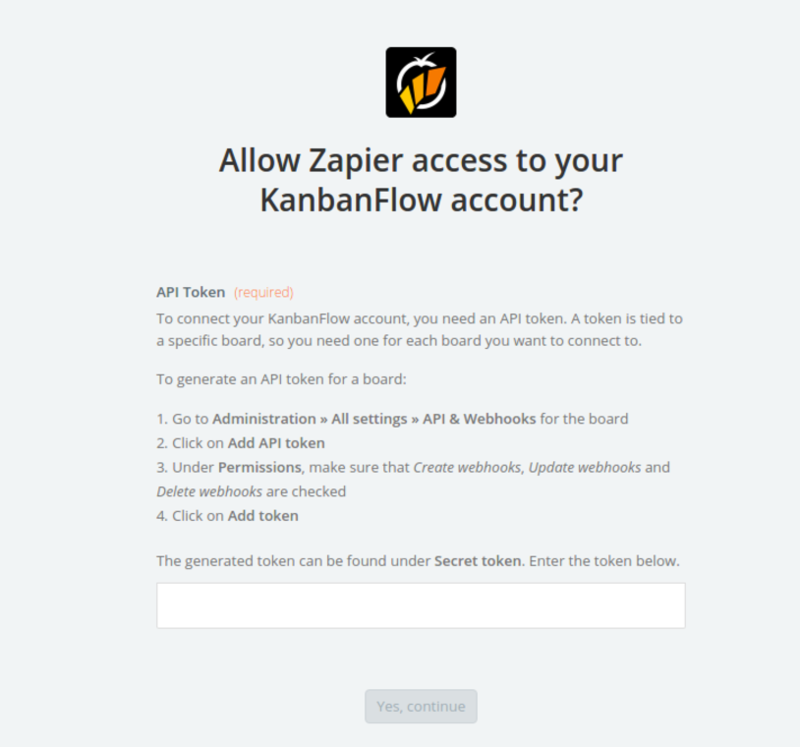 In order for your Zaps to work with KanbanFlow, you will need to connect your KanbanFlow account to Zapier. When asked for, click on Connect a New Account. 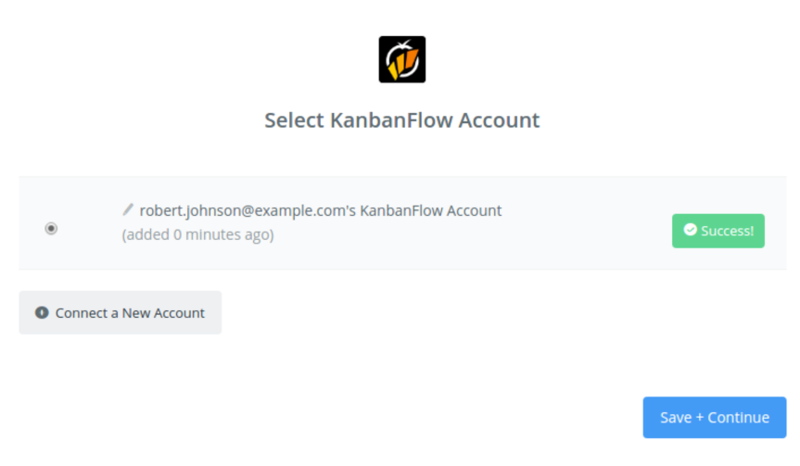 Log in to your KanbanFlow account and click on Administration. 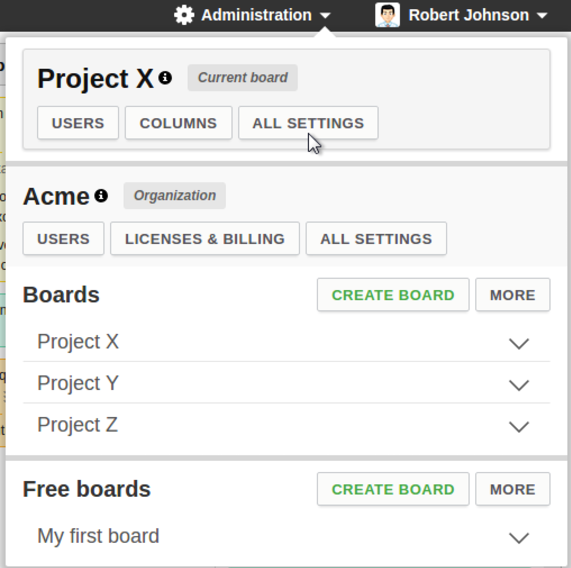 Click on All settings for the board you wish to connect to and then select the API & Webhooks tab. Click on Add API token. Name is optional, but under Permissions, make sure that Create webhooks, Update webhooks and Delete webhooks are all checked. Otherwise your Zaps will not work properly. Then click on Add token. 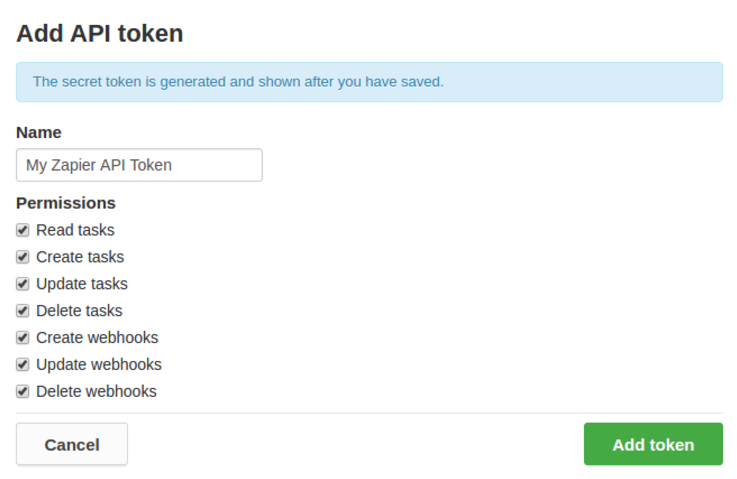 The generated token can be found under Secret token. 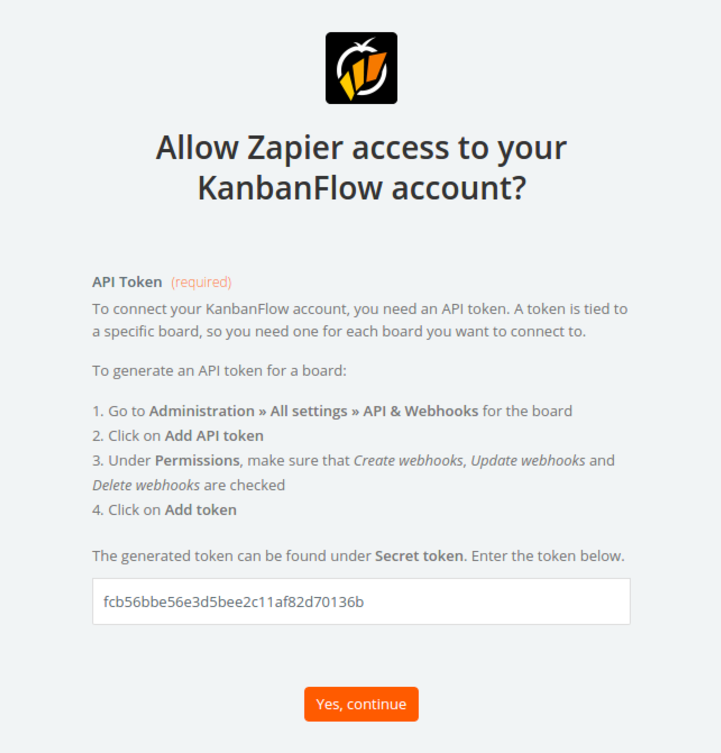 Enter the token into the input field in Zapier and click Yes, continue. If your API token was entered correctly your KanbanFlow account will now be successfully connected.